Consider these snapshot statistics: Despite an overflowing closet, the average person wears only 20% of their clothing on a regular basis; the U.S. accounts for 3% of the world's children, yet buys 40% of the world's toys; and there are roughly 300,000 items in the average American home. It begs the question: When did clutter become the norm? If you're guilty of hoarding unnecessary goods, research suggests it could be impacting your well-being—big time. According to Houselogic, a team from UCLA's Center on Everyday Lives and Families studied 32 Californian families and the multitude of objects in their home. They found that women who live in a cluttered environment are likely to have high levels of cortisol, a stress-related hormone. The Mayo Clinic points out that overexposure to cortisol can disrupt "almost all your body's processes," and has been associated with an increased risk of anxiety, digestive problems, heart disease, and weight gain, among other issues. Surprisingly, men don't seem to suffer from stress as a result of an unkempt house. Researchers believe this could be because women in the study associated a tidy home with a happy and successful family, adding more pressure to the mix. Resisting that spring-cleaning session? If this study is to be believed, organizing your home could be the secret to curbing stress. 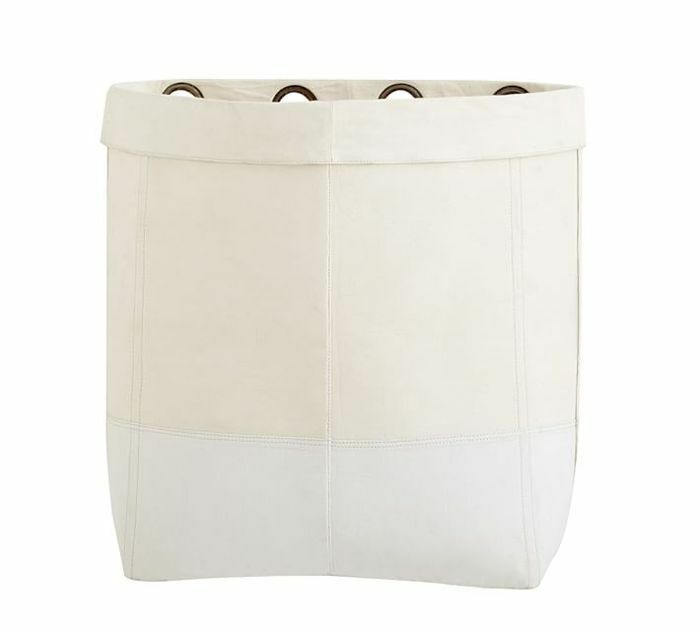 Shop the Pottery Barn Gabrielle System Canvas Hanging Hamper ($24 and up) to put an end to strewn clothes.